A professional concrete repair project is a combination of smaller detailed tasks that demand focused attention and thoughtful coordination. What makes a repair job successful is the effectiveness of the logistics applied not only in the concrete repair project but other factors such as ensuring the property tenants and the general public experience as little inconvenience as possible. Effective logistics involves the coordination of a variety of activities involving third-parties, private and public facilities, and materials. Planning and coordinating these elements to ensure that the concrete repair project is completed smoothly is a logistical challenge. Start your communication about the project in advance to all the parties affected and maintain a feedback channel so you can identify potential problems in advance. It’s important to ensure that a concrete repair project is completed on time, on a budget, and with minimal complaints from anyone affected. Aim to communicate 2-4 weeks before the start of a concrete repair project. Notify as many tenants as possible and post public notices about the scheduled concrete repair project, who is responsible for coordinating it, where the repair is going to occur, and who to contact for more information or issues. Provide a phone number, an email address, and your office location in all communications. Write official notices to property owners on paper and via email and have them delivered to the tenants. It is also important to post notices on conspicuous locations as early as two weeks before the repairs begin. A few days before the actual start of the repairs, post construction warnings around the project location and ensure compliance with official permit requirements. If necessary, conduct a pre-construction meeting with the property owner and local officials to show the measures you have put in place to ensure the public is safe from all the equipment and materials. Have the equipment and materials needed for the repair delivered in advance and stored in a secure location that does not impede traffic or cause inconvenience (using up parking spaces where parking is at a premium should be avoided if possible). The tools and equipment for use in the project should be on stand-by for delivery to project location before the actual start of the repair tasks. Safety and barrier equipment should be delivered and erected in advance – preferably one to two days ahead. These may include barricade tapes, signs, mesh barriers, surface protection, and cones. The rest of the equipment may be delivered “just in time” or when there is the least amount of traffic for property entries and exits. Construction material and repair materials can be heavy and potentially unsafe, therefore erosion control systems and first aid kits should be part of the materials supplied. Make sure all key personnel have schedules and know their responsibilities in advance. The members of the repair team should have all the details of the project as well as identities of the key personnel involved. At this point, it is may be necessary to put in place other forms of communication that the public cannot ignore, such as a flagman directing traffic with a stop/go sign. The on-site supervisor should be communicating with the appropriate security personnel and the police (if needed). Professional concrete repair teams deliver results in the shortest time when they are least distracted. Creating this environment to enable safe and professional repairs will not only reduce the inconvenience to tenants and the public but will also reduce potential cost overruns of the project. Do you need an experienced concrete repair contractor? Give us a call at 732-886- 1940 to discuss your project. We have extensive experienced in a variety of challenging projects, both large and small and can serve your needs for concrete repair. The public wants an environment which is clean and attractive. It is not just for the health benefits; a clean environment also has a positive psychological impact. Studies have shown that people who live in clean surroundings are usually happier, more relaxed, and less stressed than those in disorganized, messy, or unhygienic environments. This is why communities want to have their environments cleaned often. The challenge, of course, is that – though people keep their own properties clean, it is unlikely that they have the time or capacity to clean the streets in their neighborhoods. This is where residential street sweeping proves its value. Residential street sweeping not only makes the neighborhood look attractive and appealing, it also removes debris and pollutants from the environment. This makes the environment healthy and safe – especially for children who play in the streets and people who walk their pets in or near the streets. These benefits arise from the detail that residential street sweepers employ when cleaning a neighborhood. Not only does residential street sweeping pick up leaves, trash, and debris; it also picks up small particulates such as grit and metals that would wash into streams, rivers, and lakes. This interrupts the pollution cycle which causes the contamination of drinking water sources. Street sweepers employ a number of techniques which are designed to perform thorough cleaning with minimal interruption to the residents. In most cases, they begin by spraying the street with water to prevent the dust from blowing. They then use cylindrical brushes to sweep the debris onto a conveyor belt. This belt then deposits the dirt and debris into a container for proper disposal at a later time. In a typical residential street sweeping, the sweeper operator begins by spraying the street with water to prevent dust from blowing. The sweeper then uses cylindrical brushes to sweep the debris onto a conveyor belt. This belt then deposits the dirt and debris into a container for proper disposal at a later time. The entire exercise is carried out in a thorough and professional manner. The end result is that the entire neighborhood ends up looking clean, free of debris, and tidy. Despite being called “street sweepers”, residential street sweeping operations typically go beyond merely sweeping streets. In many cases, they also clean gutters and public spaces like parking lots and public entries. Residential street sweeping plays a critical role in ensuring that residential neighborhoods remain livable. Therefore, local municipalities coordinate a schedule that allows residential street sweeping professionals to accomplish their work with minimal interruptions and delays. Residential street sweeping companies require cooperation from residents in order to ensure that their operations are smooth. This cooperation typically involves asking residents to remove their parked cars from the streets during cleaning hours. To ensure this, most residential street sweepers work on a schedule provided by townships and municipalities. The local authorities publish the schedules on their websites to inform the residents of the scheduled cleaning operations. It is in the interest of every resident to keep up-to-date with the cleaning schedules within their neighborhood. This will minimize inconvenience and interruptions of both the residents and the street sweepers. To stay up to date with the sweeping schedule for your neighborhood, check your township or city website. Resident cooperation is essential in ensuring that your environment stays clean, hygienic, and safe. Are you looking for an experienced, knowledgeable residential street sweeping service? Give us a call at 736-886-1940. Well be glad to guide you in the details of coordinating, scheduling and conducting residential street sweeping. The spring season is upon us and smart urban dwellers across the country are getting ready (C & L included!) 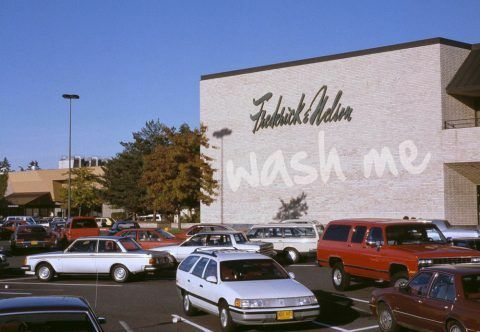 If you have not made plans on how best to save money while keeping your outdoor environment clean and hygienic, it is not too late…but you must begin now. We are proud to announce we are ready for the spring season with a new fleet of street sweeping equipment that is more powerful and technologically advanced. We have set the quality bar very high over the years and we have swept city streets all over New Jersey, but we’ll be raising it even higher this coming spring. The latest C&L Services equipment for municipal streets is the first stop for these powerful sweepers. Street Sweeping – C&L has always been the best, what will change? We are a well-qualified, experienced, and passionate company with a team of staff that love what we do. Our streets are getting more traffic and that there are man-made and nature-generated waste on our urban environments every day. It gets more challenging each day for professional companies to maintain quality street sweeping services on budget and continue to deliver top-notch quality and timely service because they rely on similar methods and equipment. Have a look at the variety of trash and debris that we pickup everyday with our street sweeping services. The challenge grows each day for professional companies to maintain quality street sweeping services on budget and continue to deliver top-notch quality and timely service. The newly updated fleet of street sweepers we will be using boast more power which translates to more thorough and faster cleaning even on high traffic surfaces. The technology these machines run on ensures that these powerful engines perform with low emissions and greater power while using less gas. This makes these machines especially effective in cleaning public areas such as shopping centers, municipal streets, private community’s and businesses and even corporate office parks. For our clients, the new fleet will help us offer our dependable street sweeping services more efficiently. 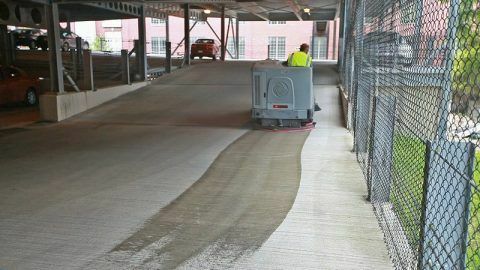 The streets will stay cleaner for longer as the new fleet of machines will spend less time sweeping compared to the older machines. 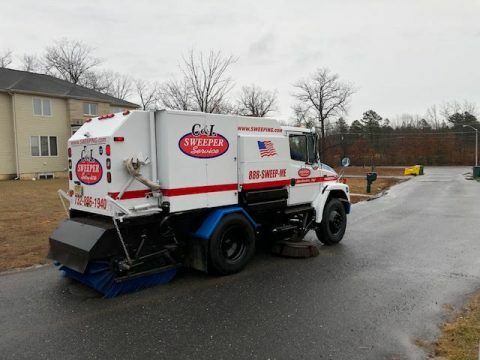 The sweepers not only require less mechanical input from the operator but also boast of new spectacular color scheme graphics that represent the passion we at C&L have for clean and beautiful streets. This spring, enjoy the benefits of specialized equipment executing specialized sweeping strategies. At C&L Service, we do not consider street sweeping a basic operation that is simply driving a truck with fancy accessories over the street surface. Our experienced cleaners determine the cleaning requirements for individual streets then use the right equipment and sweeping strategy to produce the best results. We have invested in the best equipment because we believe in our capacity to clean any type and amount of debris in every weather condition and better equipment simply means happier customers for us. This spring, rely on us to ensure that your streets and other paved surfaces are maintained in a clean, healthy, and safe condition despite the pollution and activity that comes with the season. Give us a call at 732-886-1940 if you’re ready for action with your street sweeping. Click this picture to get your copy of this “Apples to Apples” checklist. Having a major property maintenance problem is no fun. It takes up a lot of time, coordinating repairs, communicating access restrictions, waiting for property maintenance vendors to show up. You also have to tell your tenants that they will be inconvenienced (tenants HATE to be inconvenienced and let you know that). And sometimes you even have to wait weeks for the right property repair specialist to show up. When you start having more bad days than good, that’s when you know it’s time to make a change. If you’re tired of getting calls from upset tenants, then here’s what you need to do to prevent issues from becoming time-consuming, costly and possibly unsafe that is…add a thorough quarterly inspection to your ongoing maintenance activities. Sounds simple, doesn’t it? However, many property owners put off this critical practice because of the tyranny of the urgent. Property owners and property maintenance professionals are so busy “putting out fires” that they lose sight of the value of prevention. Here’s a simple guideline that is supported by most property maintenance professionals…Prevention is less expensive than Intervention. Property Maintenance – Who’s Responsible? One of the easiest ways to ensure that property inspection and preventive maintenance is regularly conducted is to pass the responsibility for inspection to a third part such as a property maintenance professional or company. Most property maintenance professionals would be glad for the chance to access and review the condition of the property so they could uncover potential problems BEFORE they become a big cost and time headache. Take a few minutes to research you local property maintenance vendor and give them a call. Determine if they have the personnel and expertise to conduct the inspections you need. If you’re satisfied with the response, schedule an initial inspection and “face to face” meeting. At the meeting, judge the level of detail and how thorough they go through your property. If any maintenance issues are discovered, ask them what, in their opinion, would be the fastest, most cost-effective way to mitigate the issue. Here’s one of our most thorough inspection checklists. Compare this checklist to the inspection list to what you potential vendor is using. Is this the most comprehensive list, probably not, however this checklist covers most of the physical elements that require property maintenance for most properties. This means you can now conduct a thorough inspection on your property withing 60 to 90 minutes. And uncover any potential maintenance issues that would take up way more that the time it took to inspect your property. – Serious property maintenance issues are no fun. Regular inspections are not fun either, but they take less time and are less costly that having to deal with a major maintenance issue. – Scheduling quarterly property maintenance inspections is a best practice that will save you money, aggravation and ultimately time. – You can outsource the inspection process to a reputable property maintenance professional. If you haven’t already done so, go ahead and schedule your first inspection. Or even better, give us a call at 732-881-1940. We’ll do the inspection for you! Then give yourself a pat on the back, because you’re now all set to save time, money and aggravation on property maintenance. HOA Asphalt Crack Filling – Should I Be Concerned?